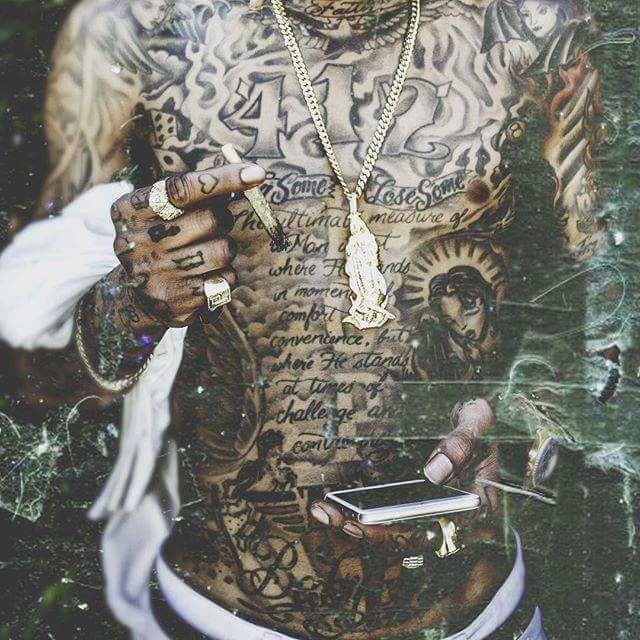 Popular western rapper, Wiz Khalifa took to his official Facebook page yesterday and posted another picture of his totally tattooed shirtless body, gold jewelry and of course marijuana in his right hand. Well that's not new. 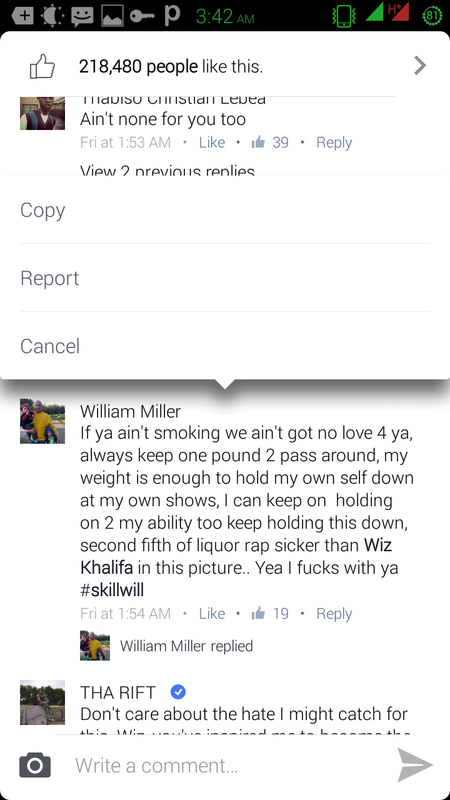 However, he added a statement that got many of his fans really talking: he captioned the photo "if you ain't smoking we ain't got no love for ya". 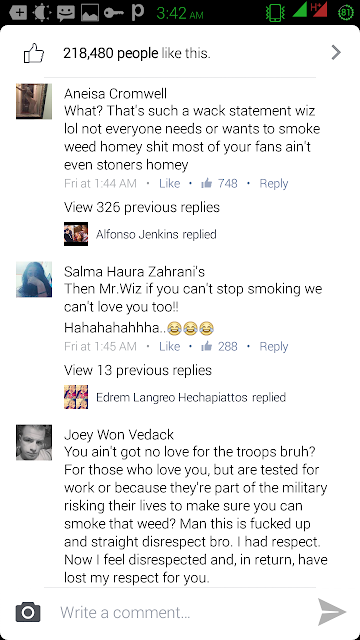 See some responses from his fans below. 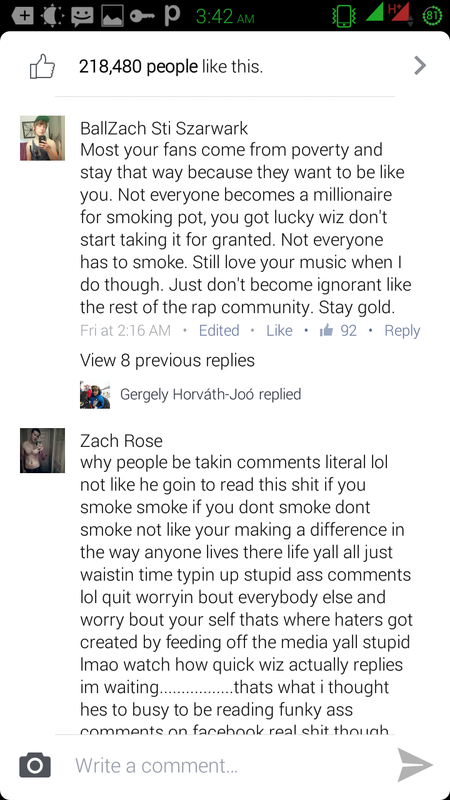 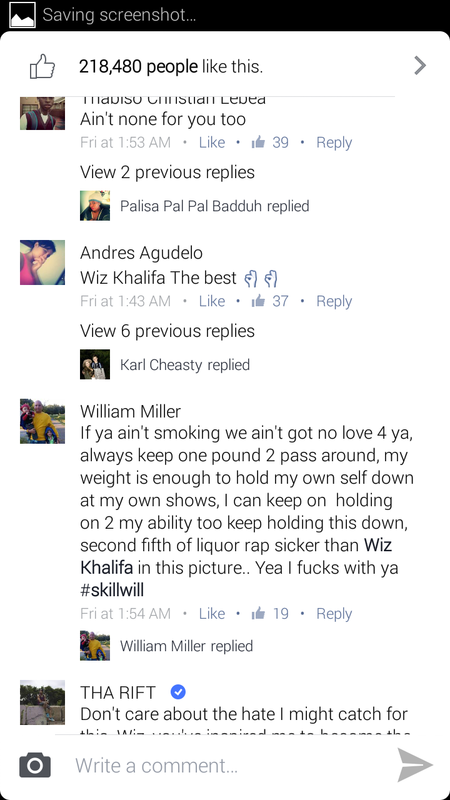 Among his fans is a trooper who came out clear and said he has lost his respect for Wiz.